Can you feel it? Suns warming up. Waves hit the beach. Soon all the boardwalk shops will open. SUMMERTIME! And what is summer without the world’s best flip flops? The Literate Phoenix is here to help! Check out our ever growing unique designs, found no where else. Here are a few of our most popular designs. The Literate Phoenix has designed perfect glasses for that cold cool beer. Here is a peek at some of them! Spring is right around the corner! Can the beach be far behind? A unique towel will be easier to spot when heading back from the waves! Get your Clownfish towel right here! Bring a fine french beach towel and some fine French wine! A little great art can make for the perfect day at the beach! Every little girl loves bunnies! Who doesn’t love a Renn Faire! Theese and many more unique, funny, and gorgeous beach towels! No worries friends! The Literate Phoenix and the Stoned Hamster would never leave you unprepared for a major holiday like St. Paddy’s Day. Put yourself in our hands and you will be ready for the wearing of the green. It is up to you whether you drink your beer green however. Button up for St. Patrick! And for those, who even on this day, just must let your freak flag fly, here’s a LSD hippy style shamrock. Shine on baby! Shine on! Top of the holiday to ya! Be safe. Not sorry. In preparing for a truly unique expression of your love on Valentine’s Day there is no ‘one size fits all’. So here, for your shopping pleasure are a few more of the quirky and delightful designs by a Literate Phoenix and the Stoned Hamster. Do you have cute nicknames for each other? Here’s the perfect sweatshirt. Personalize it with those memorable names! Is it only Puppy Love? Who can resist this adorable little furball! Looking for the perfect Valentines Day earrings? Or a gift that doesn’t scream “I’m obsessed!”. These gorgeous wine red “Be Mine” earrings are perfect. Valentine’s Day is Coming Fast! Keep ’em remembering when they are out on the course. (Oh, and just in case, you aren’t ‘feeling the Valentine vibe” this year, got ya covered there too! Posh Pillows for Book Lovers! What better way to cozy up with your favorite book, than with a couch full of beautiful book cover pillows! Edmund Dulac’s Fairy book – Look! One is escaping! And so many more beautiful throw pillows await your visit! New to You and the Literate Phoenix! Mylar balloons are a hit every time! The Literate Phoenix and the Stoned Hamster will never let you down. 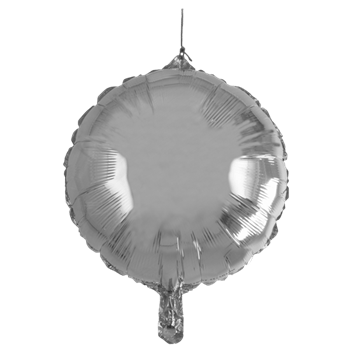 We have created bunches of balloon designs for every occasion. Here is one of our newest designs – perfect for Mother’s Day! April’s Fools Day is Coming! Are you prepared? Now remember the Stoned Hamster and Literate Phoenix’s rules for pranks: pranks should not harm anyone or anything’ they should not embarrass or humiliate anyone. With that in mind, everything else goes! So here’s a little help. Why not add outlets around the house? Or add a little temptation everywhere you go. You know everyone has to try if the sign says Wet Paint. What about if it says this? Yes…the Literate Phoenix and the Stoned Hamster are hard at work finding the perfect prank for you!